Our team is delighted to welcome you. Conveniently located in the center of town, a stone's throw from Saint Nazaire Cathedral and Allées Paul Riquet, our hotel is ideally located for discovering Béziers and taking a trip down the Canal du Midi. In the centre of town, very near the Conference Centre and just five minutes from the Polygon shopping centre, the Mercure Béziers Centre Palais des Congrès is the perfect place for leisure or business. For relaxation, you'll love the nearness of the beaches as well as the comfort and warm atmosphere of your room. After your day's work or day out with the family, take advantage of our friendly bar or visit the nearby Zinga Zanga concert hall. 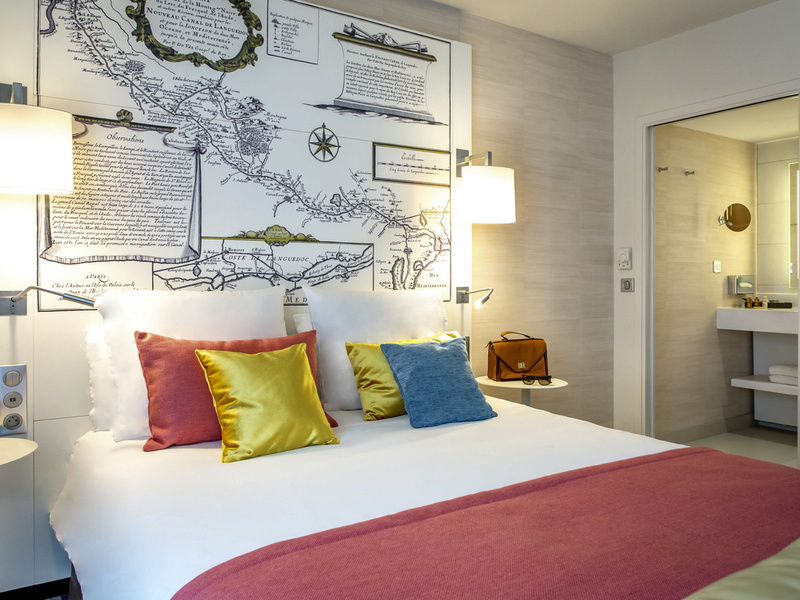 Relax in our comfortable rooms decorated in keeping with the theme of the Canal du Midi and its barges.